If you need on-demand access to a global roster of Voice certified engineers, then Field Engineer is just the place to start looking. Your VoIP and telephony systems play a huge role in supporting the communication and infrastructure of the team. Our Voice certified engineers can ensure that you can maintain, scale, and solve any problems with it with minimal delay. Finding the right person for the job using Field Engineer is a streamlined, efficient process thanks to our hiring portal. To get started, simply post the details of the job, as well as what skills and other criteria make the perfect applicant. From there, we connect you to a roster of certified engineers across the globe. When they start applying, you can start reviewing their profiles with their certifications, skills, and experience all listed for easy reading. Using our system, you can start messaging them immediately to help you determine just which is the right person for the job. Once you’ve selected the right person for the job, Field Engineer allows you to manage the project. You can break the job down into different tasks, seeing which are completed, as well as an overall look at the schedule through the calendar function. 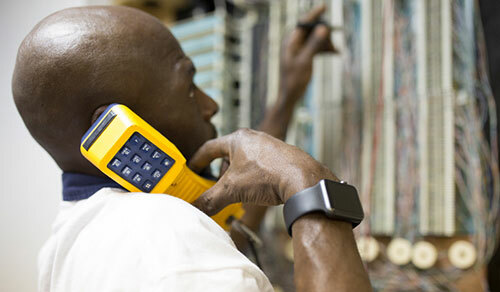 This way, you can ensure your chosen Voice certified engineer is on track with no hassle. Simply sign up to Field Engineer today and post your project if you want to build a flexible workforce with the help of Voice certified engineers. It’s never been so simple to find the VoIP and telephony experts your business needs.